There's been much discussion recently, especially among privately-owned Atari dealers, about Atari's plans for the Federated stores, the chain of electronics "supermarkets" that Atari acquired last year. The dealers located near Federated stores complain that they face unfair competition since Atari is able to offer STs at reduced prices. Dealers everywhere claim that Federated stores get preferential treatment in product delivery and that Federated stores are kept well-stocked at the expense of the non-Atari-owned stores. ST-Log attempted to get some answers from Federated, an effort that ended in frustration with little new to report. We were unable to get past Ambrose LaRocca's (the president of Federated) secretary, who simply said that Mr. LaRocca would make no comments to the press; and other calls were bounced from one department to another, each person who was contacted passing the buck down the line to the next lucky soul. What we do know is based mainly upon comments made by Atari's Neil Harris in the ST Forum on DELPHI. In answer to the accusation that Atari was using unfair pricing policies in the Federated stores, Mr. Harris stated that he didn't believe that was the case. "It's hard to maintain margins and become profitable if Federated cuts prices as drastically as has been claimed." 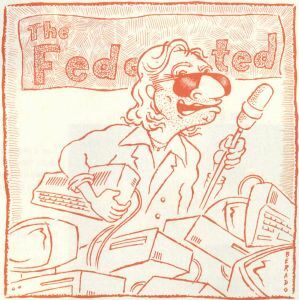 A brief conversation with a Federated store manager (one of the few people who would comment at all) gave us a similar answer—that, in fact, Federated's prices were generally higher than those of the private dealers. However, when ST-Log anonymously called two Federated stores in California to ask about prices, we were assured by the salesman in the computer department that they would match any other dealer's price While this doesn't prove that the Federated stores are using unfair pricing policies (a salesman will tell you anything to get you into their store), it does show that they are being aggressive, that they are indeed in competition with other dealers. When asked how Federated stores managed to keep 1040 STs in stock while other dealers' shelves were bare of that particular model, Mr. Harris explained that the Federated stores were stocked up with computers from the beginning, and, since they are not up to speed in sales yet, their allocation has lasted longer than other dealers'. Is Atari cutting the throats of the privately owned dealerships? Are they indeed waging price wars on small computer outlets that can't afford to compete? Are they allocating more stock to their own stores, leaving the private dealers with nothing to sell? We couldn't come up with solid answers to any of these questions. But, unless Atari feels that it can support its product line solely through its own Federated stores, it had better take a good hard look at what is most definitely a conflict of interest. "It is certainly a bit of a mess," says Neil Harris with regards to the Federated situation. But he is also quick to say, "... I think the outcome will be what we all want—a robust, thriving line of quality, inexpensive computers." And that's what we all want, right? Atari claims it is making efforts to reassure the private dealers and bring them comfortably into the fold. If Atari can manage to balance its own interests carefully against those of the other dealers, we may see a healthy Atari retail network develop. Hopefully, it'll just be a matter of time.